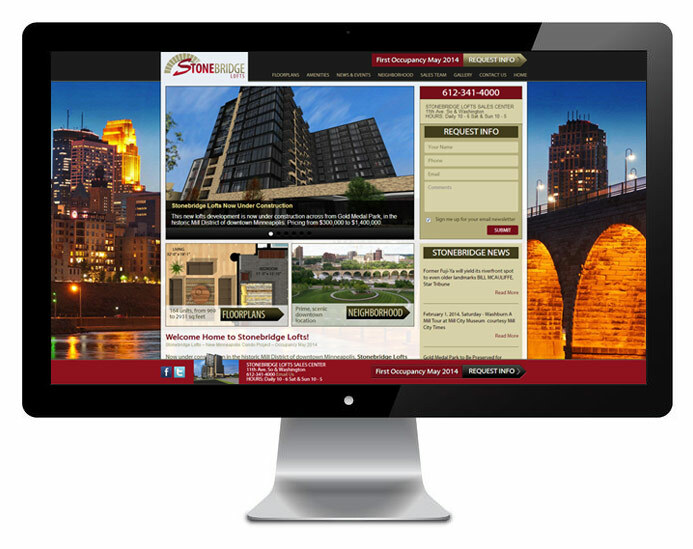 This fully responsive website, for a new lofts development in downtown Minneapolis, needed to have top search results so our client (the builder) would be the FIRST source for information. Real estate is an aggressively competitive industry, and the Twin Cities market is flooded with very elaborate and expensive websites all aiming for a larger slice of the pie. 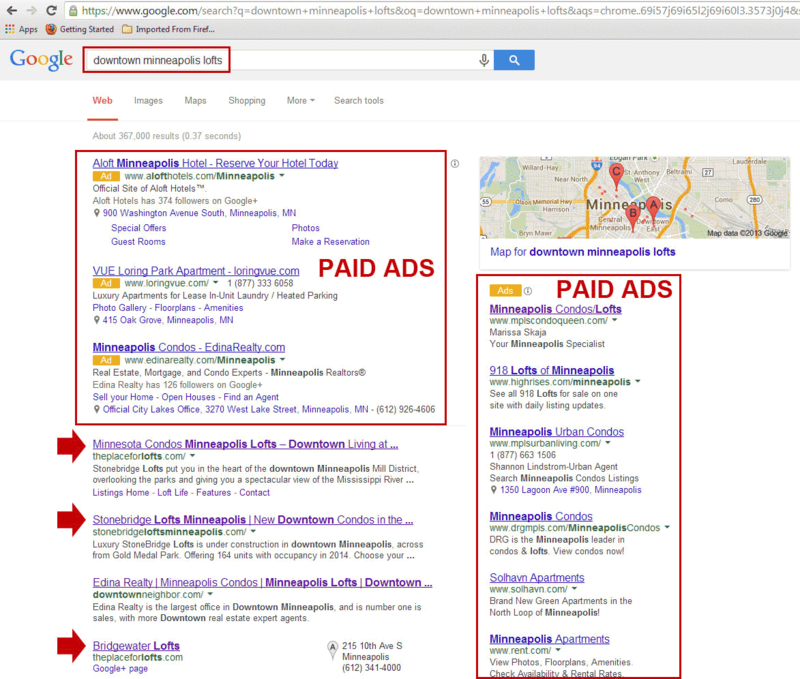 Through experience, planning and on-page SEO fundamentals, we were very pleased to rocket to #1 on page 1 of Google for our top term, “new Minneapolis lofts.” For our next targeted term, “downtown Minneapolis lofts,” we had to settle for #2 on page 1 because a PREVIOUS site we built for this client was hogging the top spot! 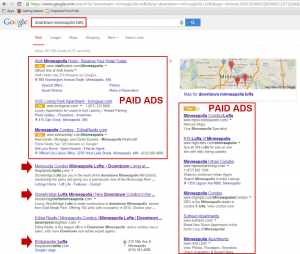 If you search on Google for these terms, you’ll see plenty of “pay per click” ads placed by our client’s competitors, but studies show that even the most casual web users value organic results over paid ads. They figure if you’ve earned your spot, you’ve got to be good. We find it hard to argue that point! EZ New Media is at Buffalo Wild Wings Corporate Headquarters. EZ New Media is at Smarte Carte.